What’s the most successful album of the past 15 years? But if you live in Germany, you might point to a record which, locally speaking, surpasses some of the achievements of even the great Ms. Adkins. Helene Fischer’s self-titled eighth studio album became Germany’s fastest-selling LP of the past decade-and-a-half when it was released in May this year. That’s real sales, by the way – not those crafty ‘streaming equivalents’ which can so easily skew a comparison in the history books. Across downloads, CD and vinyl, ‘Helene Fischer’ shifted more than 300,000 copies in its first week, and is now expected to rack up seven figures before long. This is not only a momentous achievement for Fischer and her label at Polydor/Universal, but also a reminder to the world that Germans still very much love the album – and very much love buying it as a package. Two months later, we got another important reminder of this fact. 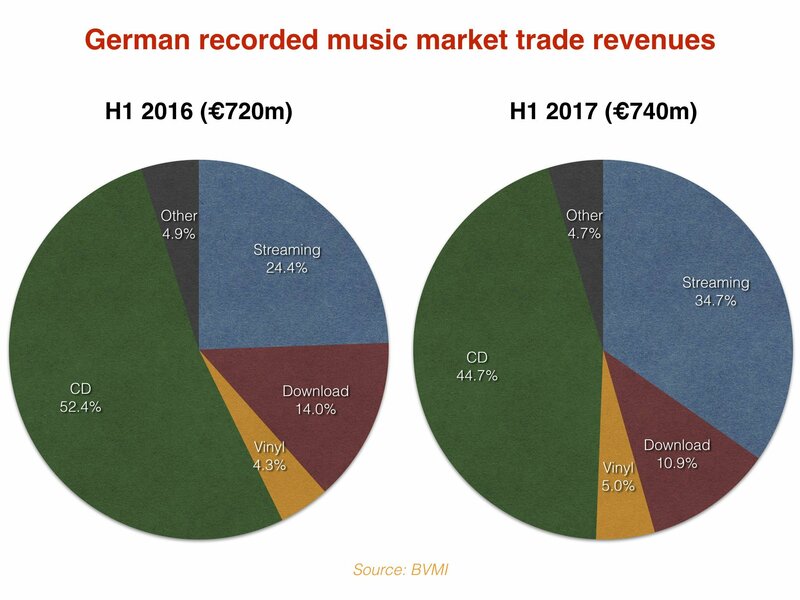 German trade body BVMI announced that recorded music revenues had grown 2.9% year-on-year in H1 2017 – with physical formats taking a 50% share of the market. Compare that to the UK, where in the same period CD and vinyl accounted for less than a quarter of music retail revenues in the same period. Although CD’s turnover fell slightly in Germany in the first six months of the year (-12% to €331m, according to MBW’s calculations), it remained the dominant format. Streaming, meanwhile, increased its portion of the market by 10.3% to 34.7%. Healthy growth, but far behind its recent dominance of markets such as the US. Frank Briegmann is Universal Music’s Chairman and CEO of Central Europe & Deutsche Grammophon. 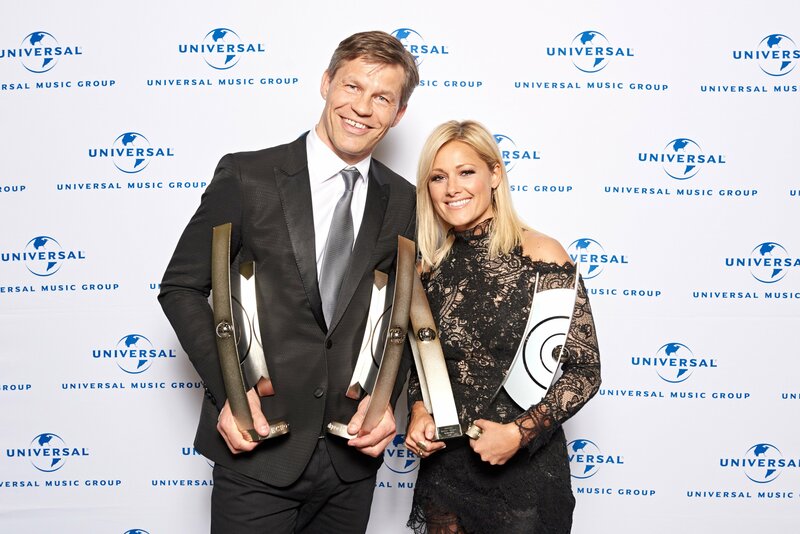 As such, he not only has responsibility for Germany and other key EU territories for UMG, but is also overseeing Helene Fischer’s history-making 2017 campaign. Briegmann (pictured) has watched the German recorded music market maintain its value much more resolutely than other key markets in recent years, and is optimistic for what a streaming-led future in Germany will mean for the music biz. He is a Universal Music Germany veteran, having joined the company in 2004 as the youngest major label CEO in the territory. Before that, Briegmann worked for Bertelsmann Music Group (BMG) for nine years, where he departed as Senior Vice President International. What does Helene Fischer’s recent success tell us about the strength of the German music market? First off, I think Helene‘s success tells us something about Helene. She is an extraordinary artist who, with her relentless passion and energy for music, has grown a hugely loyal fan base in the region and around the world. Aside from that, it is also testament to the important role that German-speaking artists play in the development of this market. In 2016, more than two-thirds of the top 100 albums in Germany were domestic acts and nearly half of those were Universal Music artists. The development of domestic artists has been essential for us for many years now, and happily our success in this area continues to speak for itself. 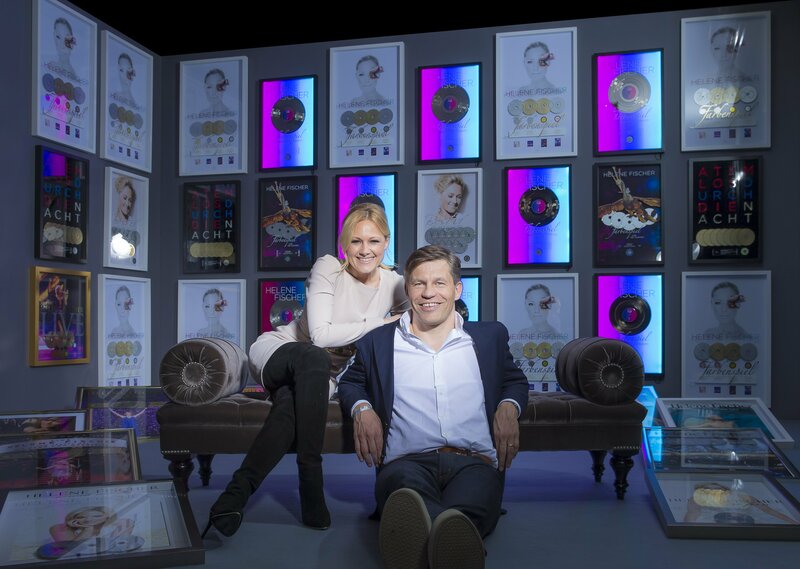 What are the ingredients that have made Helene’s self-titled album such a success – not only in context of the market, but actually outselling the first weeks of her other very popular albums including 2013’s Farbenspiel? Helene Fischer is the most successful album launch of the last 15 years in Germany – Helene has literally outsold everyone, both domestic and international. The album has reinforced her position as one of Germany’s most popular singers of all time and we are very optimistic for its continued success. Throughout her career, Helene has successfully evolved as an artist from each album to the next. With Farbenspiel, she perfected the very popular German “Schlager” style. Some might say she even revolutionized it. With this new album, it sees her more open to experimentation, with a number of songs bringing a pop, dance, and even world-music flavor to the record. Despite this, the sound is always unmistakably Helene Fischer. Increasingly, album sales seem to be less of a focus for the music business. Why are they staying so strong in Germany? Consumers in Germany still seem to enjoy owning physical product as somehow more “enduring.” We sell tons of high value boxsets especially in domestic hip-hop where we work hand-in-hand with our local artists. There is money to be made for international artists as well. I see it as our job to make the music available in whatever commercially viable format that people desire. If at some point fans’ demand for cassette tapes should soar again, I would be the first to fetch the old production lines out of the cellar! We often hear that physical music is strong in Germany, but less about the growth of streaming. Is streaming growing fast enough for you? Last year, the IFPI reported that audio streaming increased by around 73% in the German market. Bearing in mind that for legal reasons, the leading streaming services started considerably later in Germany than in other countries, this is a good result and a positive sign for the future. As we saw from the publication of the BVMI 2017 half year report last month, streaming is the biggest driver of growth in the German music business — our market is in full transition. To what extent can Germany maintain its physical market in the future, and is there still significant growth to be expected in the region? Further growth can mainly be expected in the digital sector, most of all from streaming. With new innovations in technology, we are seeing more and more platforms and devices that can offer consumers the joy and convenience of listening to their music wherever they go. 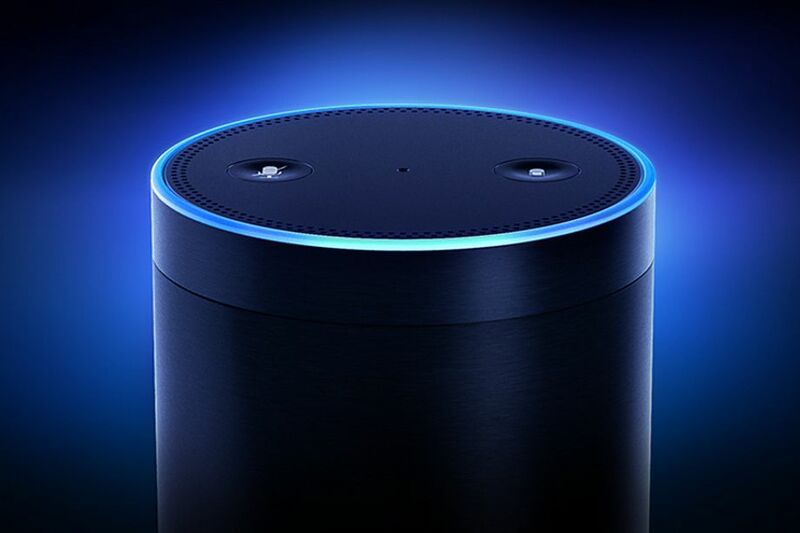 With voice-controlled devices such as Amazon Echo or Apple’s HomePod, you now don’t even have to scroll through playlists, let alone turn on your CD player. Music is a business enabler for the hardware industry, and vice versa. These technologies make it easier for music to be consumed in more and more places, so I anticipate an increase in the consumption of music – even, and especially, in Germany. Thanks to subscription models, we have the opportunity to monetize these new forms of consumption – irrespective of the device, place, or time. In that context, I don’t spend a lot of time worrying about the strength of the physical market in Germany because I believe that there will always be fans who want to own music physically, and that boxsets, special editions or vinyl will be around for a long time. What ambitions do you have for Helene outside GSA, and how does the UMG global setup play into that? Right now, we are happy to celebrate the huge success of her new album. In the Autumn, Helene will embark on an extended arena tour with 69 dates, followed by a huge stadium tour in 2018. Because of this, for the time being, we will continue to concentrate on GSA and its surrounding countries. But those who know Helene, and us, will know not to rule out anything in the future. The beauty of the structure at UMG is that if the right opportunity were to develop for one of our domestic artists internationally, we always have the resources and support available throughout the business to be able to react swiftly and strategically to maximize our chances of breaking that act globally. What do you think is GSA’s biggest challenge in the years ahead and how can the industry best deal with it? First, we must never lose sight of signing and developing the very best artists in the world, and enabling both new acts and established stars to create the very best music in the world. As part of that, we need to ensure that our artists connect with fans in compelling ways across various platforms – whether that means CDs or streaming services or something beyond those. Second, we need to help ensure a sustainably healthy music ecosystem through continued investment – supporting our artists and fostering a dynamic and artist-friendly digital music innovation. 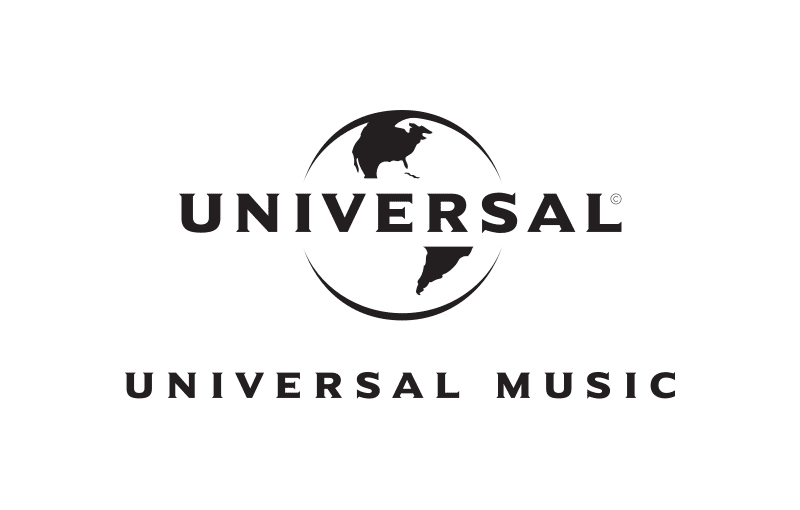 UMG not only remains the leading investor in artists and music through our efforts in A&R, marketing and much more, but we have licensed hundreds of digital services and invested intensely to create the systems that support the digital environment. And third, if that critical investment is to continue to be recycled through the ecosystem to assure its health, we need legislation to address the “value gap” – the gap between the value of music consumed and the value returned to the ecosystem. If large players are permitted to continue abusing the laws and music creators are denied their fair share of compensation, than the ecosystem – the entire ecosystem – will suffer. We need a solution in the interest of the broader ecosystem. 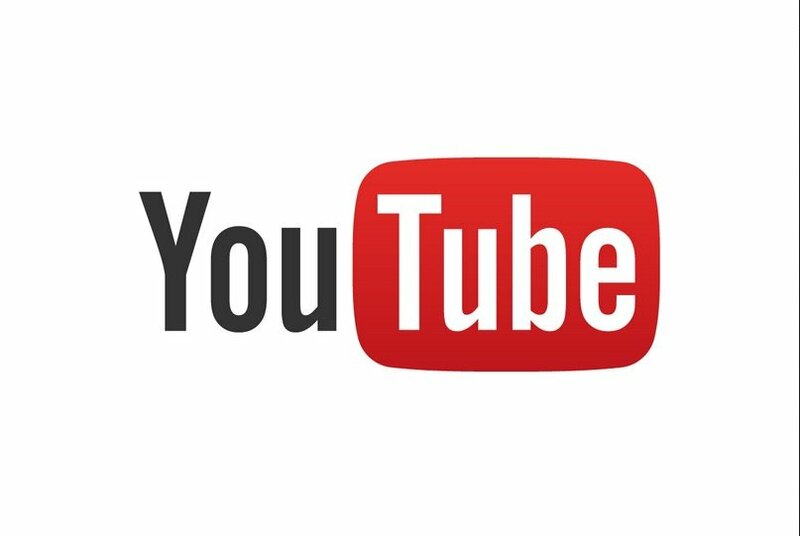 Talking of which… GEMA recently reached a settlement with YouTube, meaning the site’s music videos are back in Germany. What are the positives and negatives of that news for you? The good news is that consumers will gain more convenient access to music. But the issue of fair compensation for music creators remains unresolved. 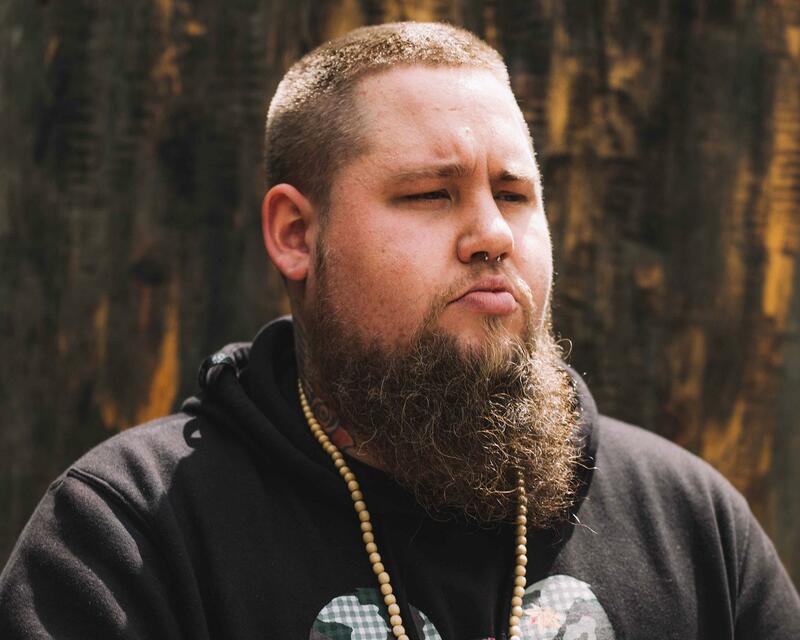 Why do you think certain big-name British artists like James Arthur and Rag’N’Bone Man have broken first in Germany rather than their home country in recent years? Every now and then we see international artists whose sound is particularly suitable for certain countries and the tastes of their music consumers. The success abroad and the associated attention can in turn affect their home markets. In Germany, we take chances with artists – no matter whether they come from the UK, France, Denmark or elsewhere. What differentiates Universal from its competition in Central Europe? I can only speak for Universal Music. We see our strengths in an extensive network that spans the whole continent and most of the world, practically in every genre and through countless distribution, retail and media partners. As technologies change at light speed – the artist and their individual development remains at the heart of all that we do. We see the development of new talent as one of our core priorities and A&R remains the focus of our business. That will never change. Our global network of executives within UMG, who are all individually leading their own markets, is exceptionally strong, plus we have the invaluable support coming from the very top of our company with Sir Lucian. Together we make great things happen. UMG finished restructuring its international setup last year. How are you finding reporting directly into Santa Monica as opposed to Universal Music Group International in London? All I can say is… 37 days of rain in Santa Monica, compared to 153 in London. How am I finding that?! 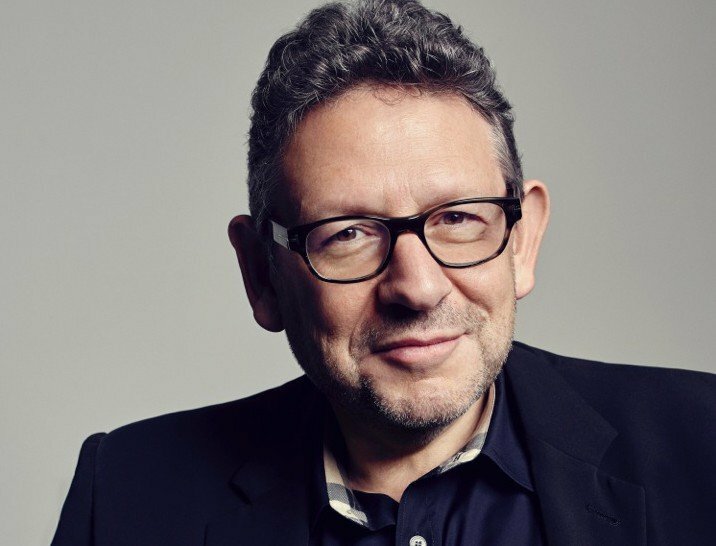 All joking aside, I have always had a strong relationship with Sir Lucian [Grainge] since the days when he ran UMGI in London. He has a unique understanding of how the music industry works globally, which has enabled him to lead, evolve and transform UMG as a company, whilst strengthening and building for the future. His reorganization of the international business really helped to develop and refocus all of our regions and territories. We are definitely nimbler, better connected and more interactive and that is showing in our ability to break artists on a global level. You only have to look at a record like Despacito, a Spanish language record driven from our LatAM division that we have been able to work domestically and make a hit across many regions around the world, including Central Europe. We knew that it had the potential to be one of 2017’s biggest songs and felt empowered to help make it a success at home. The new structure made it much easier to connect the dots. Working together strengthens our digital positioning and our strategic execution, which is key to breaking global hits. In fact, I get the impression that we now work much faster. Which is not a bad thing at all in a time of rapid digital change. Are you optimistic about the future of the recorded music business – and Germany/Central Europe’s place within it? Even if how we hear music is changing, the need to produce and promote songs, to discover and help break new artists and to provide audiences with great music will last. So yes, I am very optimistic. Music consumption is on the rise and as far as monetization is concerned, we are tackling one obstacle after another. With subscription models, we have a lot to look forward to. We have developed a welcoming approach to new partners and business models. Central Europe continues to play an important role. 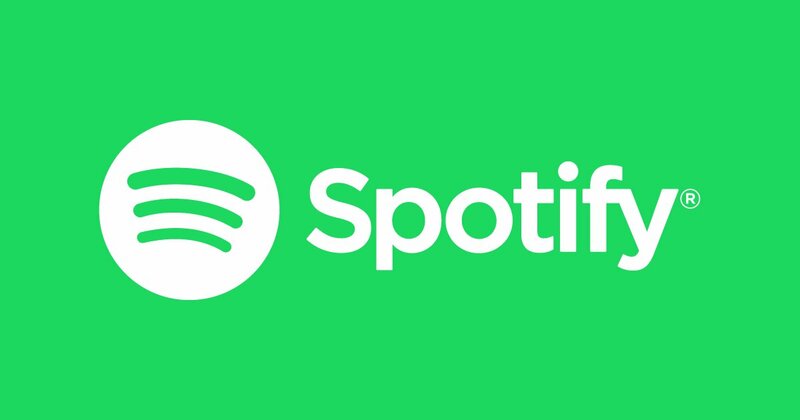 The triumphant rise of music streaming began in Sweden and as the fourth largest music market in the world, Germany continues to make a vital contribution to the overall success of the industry. However, navigating shifts in formats and consumer behavior is complex and requires lots of hard work and focus. For example, it still remains to be seen what the long term impact of the transition to streaming will mean for physical sales in Germany. One of our main tasks for the future will be to further stimulate the cultural diversity of Europe in the streaming world, but at the same time make it easier for artists from different countries to move between markets.